WhatsApp beta for Android 2.17.430: what’s new? Recently, WhatsApp has submitted a new update through the Google Play Beta Program: the version we are talking about is 2.17.430 one. It mainly contains bug fixes and general improvements, but it also adds a new feature that will be available in future. Let’s find out together what is that .. 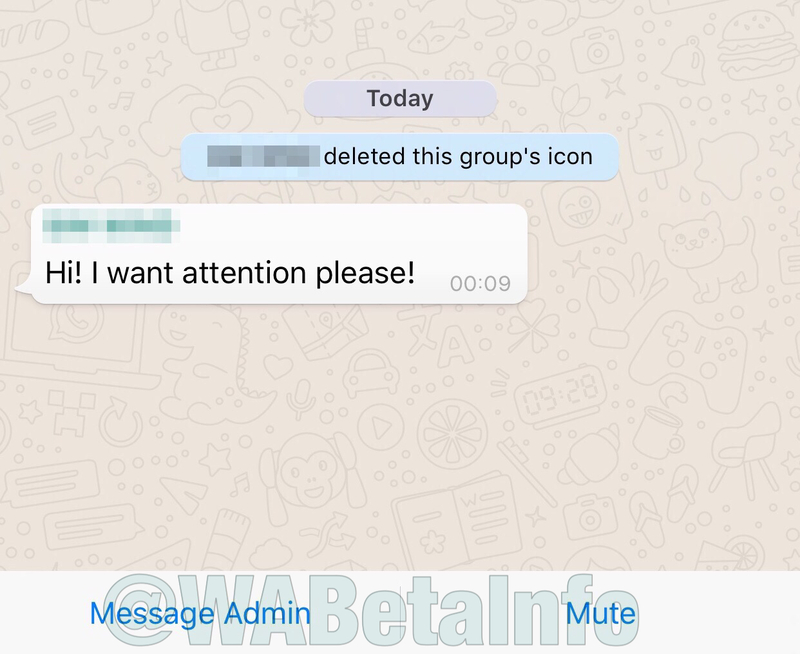 Recently we talked about restricted groups in a very detailed article (tap here to check it), the future WhatsApp feature, explaining that all administrators will be able to disable the chat feature for no-admins in groups. We showed some screenshots of the chat on the iOS app, and finally today we are able to show you the same screenshot for the Android version. When the user taps Message Admin, the participant will be able to type the message and it will be sent to the admin. A group can be restricted once every 72 hours but thanks to the 2.17.430 beta, we discovered that WhatsApp will be finally able to change this value from the server. Personally we think it will be useful to allow the admin to change the setting every 24 hour (for example to “close” the group at night). All these features for groups are disabled by default, so it’s normal if you don’t see them updating the app. You have to wait that WhatsApp will release all this in future. Previous PostPrevious New location sticker spotted in WhatsApp! Next PostNext WhatsApp Web 0.2.7304: what’s new?